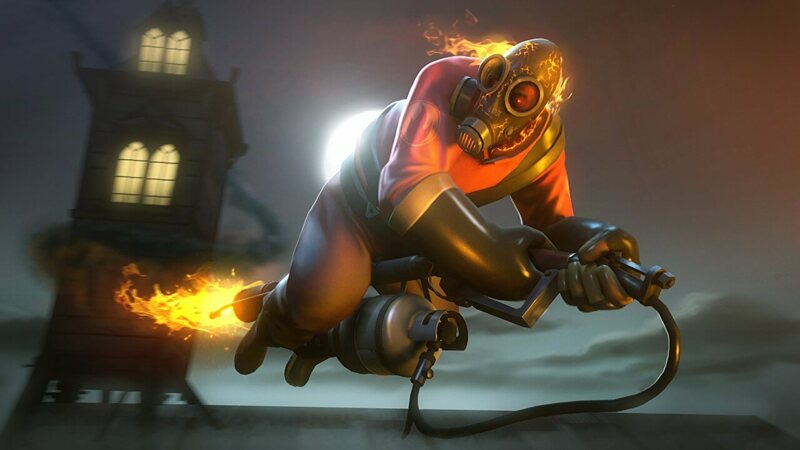 PCGamesN writes that Sketchek was considered one of the best Pyro players in the Team Fortress 2 community. Back in November 2015, he posted a YouTube video in which he announced that he was suffering from a disease affecting his central nervous system, and that “the clock was ticking.” Sketchek added that the video would be his last as he couldn’t spend what time he had left maintaining his channel. Yesterday, Sketchek uploaded a new video that revealed the truth. “About three years ago, I announced that I had contracted a non-specific terminal illness. I want everyone to know that that was a lie. It was a sick joke, it was a ruse. I was never ill, not even a little bit,” he says. In March last year, Valve paid tribute to the famous player by adding a new ability called Sketchek’s Bequest to Pyro’s unlockable Axtinguisher melee weapon. Sketchek wrote in the comments of his new video that he doesn’t deserve such an honor and hopes it’s removed soon. Sketchek said he had decided to take a break from video games and was going to shut down his channel but wanted to “go out with a bang,” so he faked his own death to draw attention. He also hoped that such an extreme move would make returning to games all the more difficult. “Somewhere along the way, I came to the conclusion that video games had ruined my life,” he said. But it seems he missed playing Team Fortress 2 and creating videos about the multiplayer FPS. “I couldn’t really give a **** about the TF2 community at large, but if you have enjoyed my videos, I am genuinely sorry to let you down, and I hope I can make it up to you by releasing some newer and better content,” he summarized. What does the title say again? TF2 Youtube creator? What does that mean? I had to think about it too, lol. He creates TF2 content on youtube. That could have been worded better. #2312313112 Youtuber creates #4324239482 drama antic for that sweet, sweet ad $$$. Boy, I'm soooo *totally* shocked this happened. Given how battle royale mod is so popular, it's unbelievable that Valve hasn't tried to jump into that too. It would be easy job with something like TF2. Maybe, maybe not. They have it in CSGO but it's a bit different than the rest. Yeah, thanks for notion. I forgot the CSGO.